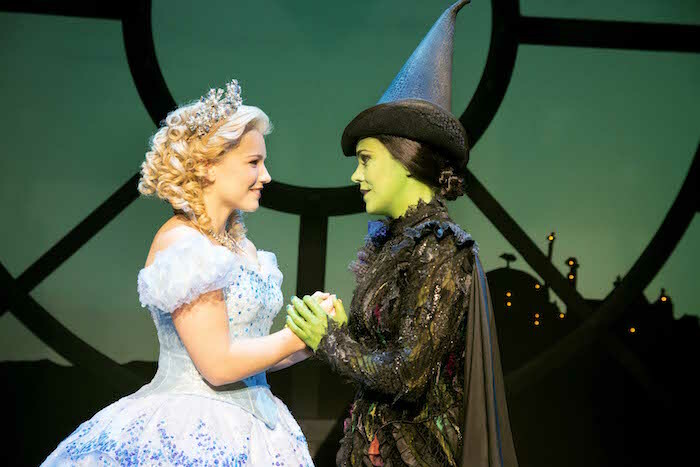 Wicked held a special gala performance last night at the Apollo Victoria Theatre to mark 10 years in the West End – a milestone guaranteed to make many in the industry green with envy. Current stars Rachel Tucker, Suzie Mathers, Anita Dobson, Oliver Savile and Mark Curryperformed for an audience packed with past Elphabas and Glindas, as well as the original creative team, including composer and lyricist Stephen Schwartz. This entry was posted in Journalism, Theatre and tagged 10th, anniversary, Apollo Victoria Theatre, broadwayworld, cast, composer, defying gravity, donald trump, elphaba, film, fiyero, glinda, interview, joe mantello, london, movie, musical, oliver savile, oz, rachel tucker, savannah stevenson, stephen daldry, stephen schwartz, suzie mathers, trump, west end, wicked, wicked 10, Willemijn Verkaik, witches, wizard. Bookmark the permalink.